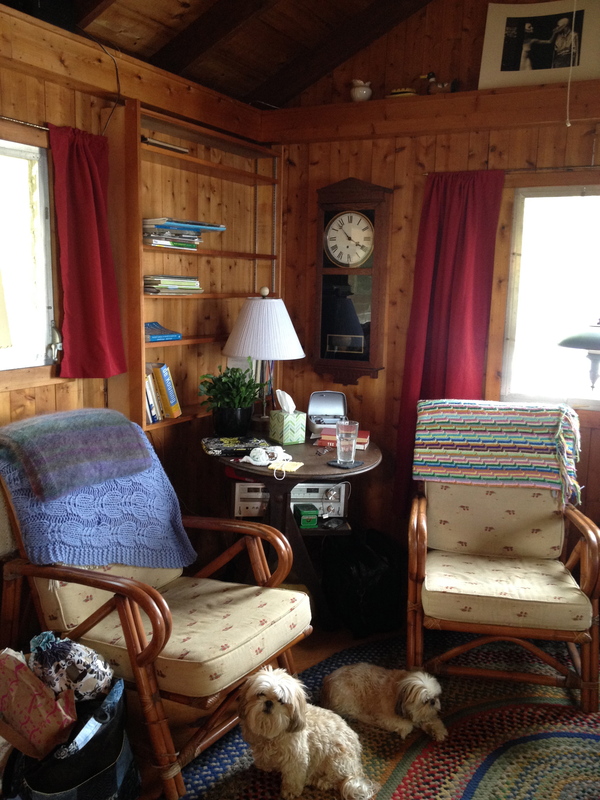 We’ve been trying to get settled comfortably in the guest cabin and a lot of steps have been taken toward our goal. On Friday the DEP called and our permit has been approved. We can officially go forward and tear down the old house. 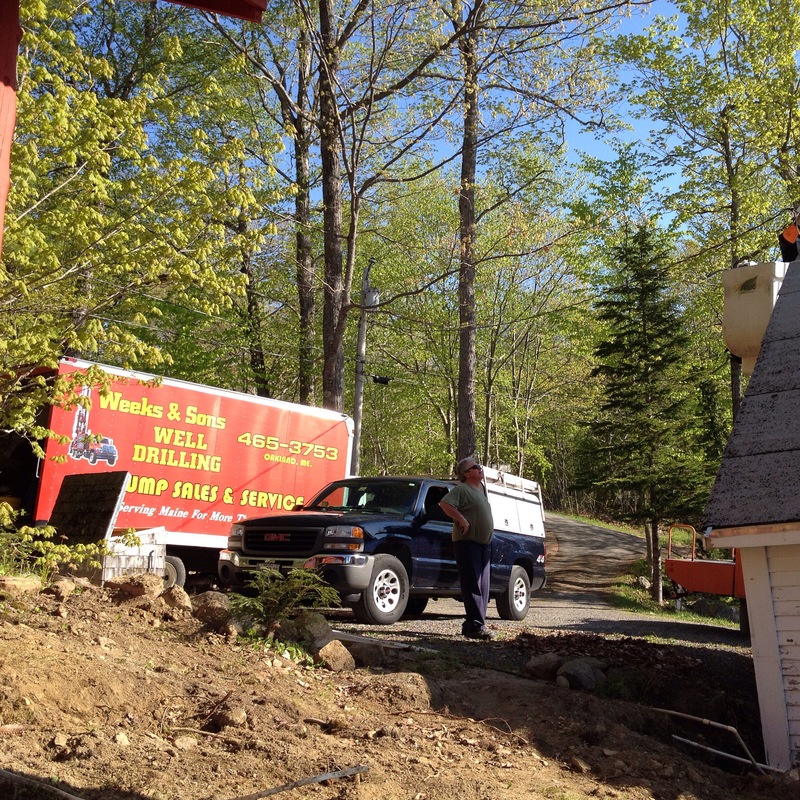 The electrician, Jeff, has been here quite a bit working on upgrading our electric in the guest cabin. 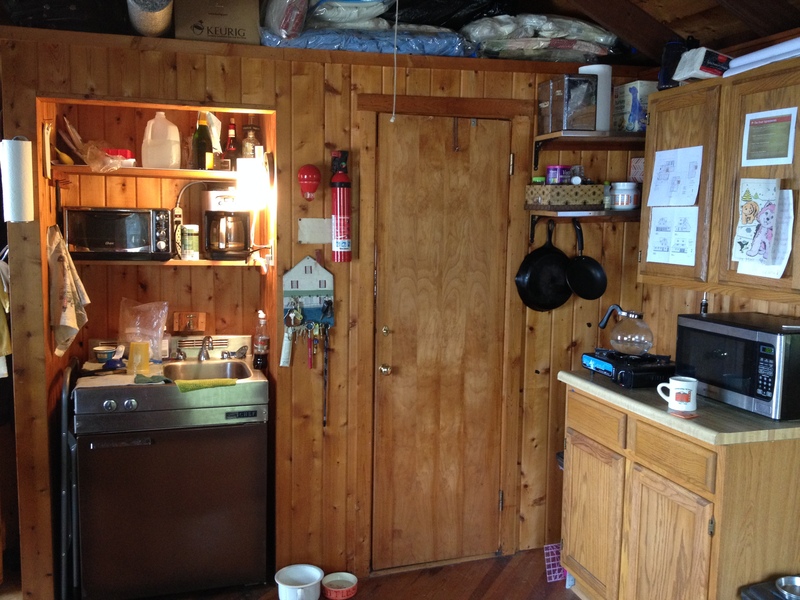 Since the cabin was built in the early 1950s, the electric systems were not adequate for microwave ovens, space heaters and all the electronics that we travel with today. He’s been great and very professional. We are so grateful to have a safe cabin to call home for the next few months. I’ve been doing laundry at the laundromat nearby and hanging it on the line. I will continue to hang laundry outside. 1) It’s better for the clothes. 2) It uses less energy … except for mine which is in plentiful supply most of the time, and 3) It’s better for the earth. Living as close as we do to the earth here, we are more aware of reduce, reuse, recycle. I also took a day and baked some muffins for Ned’s breakfast before we turned off the propane to the stove. Our car titles are comfortably in storage (we think) and so we’re trying to figure out how to get duplicates sent to us in a timely fashion so we can register our cars in Maine. I’m going to get my Maine driver’s license tomorrow and then will mail a photocopy of it with the application for a duplicate registration. Remind me next time to get an electronic version … that would only cost $2.50. A paper replacement will be much more. 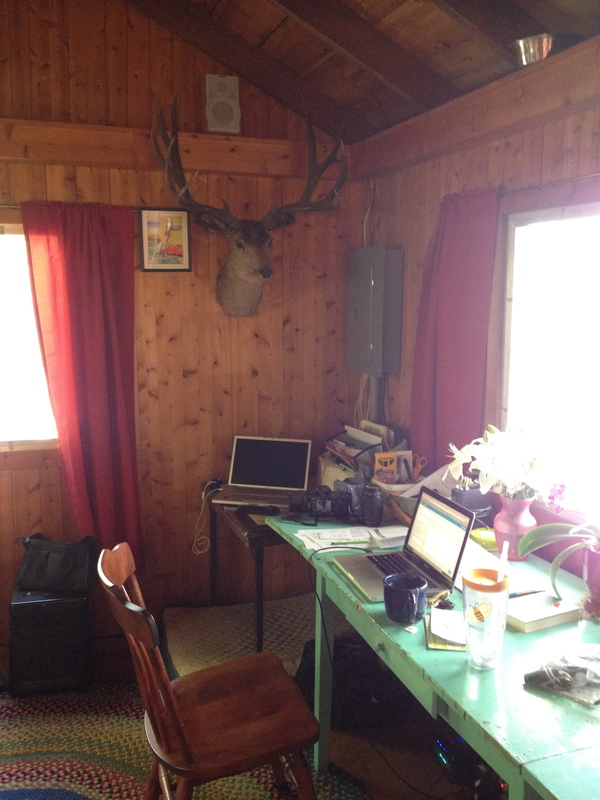 Yesterday when I was at work, Ned moved the book shelf from the living room and hung it up in the cabin living room. A wonderful addition to this space. We both love our books. I’m guessing that we’ll fill the shelves with books while we are living here. The demolition was scheduled for yesterday but was rescheduled for today because the dumpster driver quit. We hear we’re all set for today. It will be very emotional taking down the old house. Bittersweet for sure. This entry was posted in Uncategorized and tagged adventure, fishing cottage, fishing cottage lake house, Guest House, home, lake house, Living in Maine, Maine, Messalonskee, Messalonskee Chronicles on May 21, 2015 by lindarockwell3.